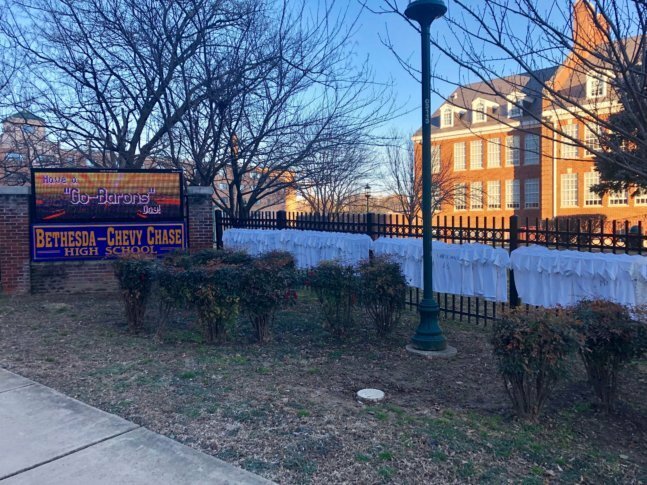 Students at Bethesda-Chevy Chase High School observed the anniversary of the deadly shooting at Marjory Stoneman Douglas High School by hanging up 671 white T-shirts with the names and ages of gun violence victims written on them along a fence on East-West Highway. "It's the scene of ghostly T-shirts waving in the wind," one of the organizers said. BETHESDA, Md. — As students around the country mark the dark anniversary of the high school massacre in Parkland, Florida, one school in Montgomery County, Maryland, assembled a striking display in an effort to draw attention to the broader issue of gun violence. Students at Bethesda-Chevy Chase High School observed the Thursday anniversary by hanging up 671 white T-shirts along a fence on East-West Highway. Each shirt represents a teenage victim killed by gun violence in 2018. The shirts have the names and ages of the victims written on them in black ink. On the anniversary of the massacre at Marjory Stoneman Douglas High School, the school will be on a half-day schedule. Students will serve breakfast to first responders and will be dismissed nearly three hours before the time the shooting began, about 2:20 p.m.
Last year, students at the school created a display in April, placing about 200 shirts along the school fence to mark the number of teen victims killed in the first four months of the year. Students from coast to coast organized mass walkouts and protests last year calling for tougher gun laws following the shooting at Parkland’s Marjory Stoneman Douglas High School. The shooting left 17 people dead — 14 students and three staff members. Victims’ families who have spoken publicly say they will spend Thursday’s anniversary quietly, visiting their loved ones’ graves or participating in low-key events like a community walk. 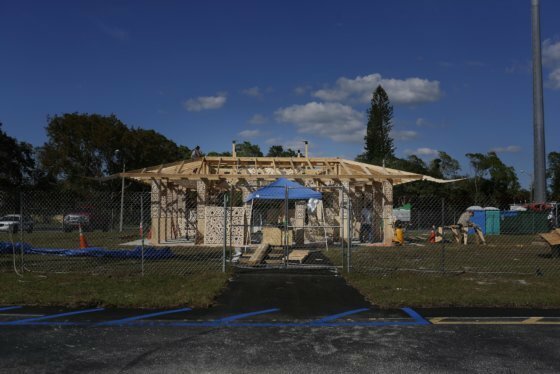 At Stoneman Douglas, students will mark the tragedy by working on service projects. They also can receive mental health counseling and visit therapy dogs.